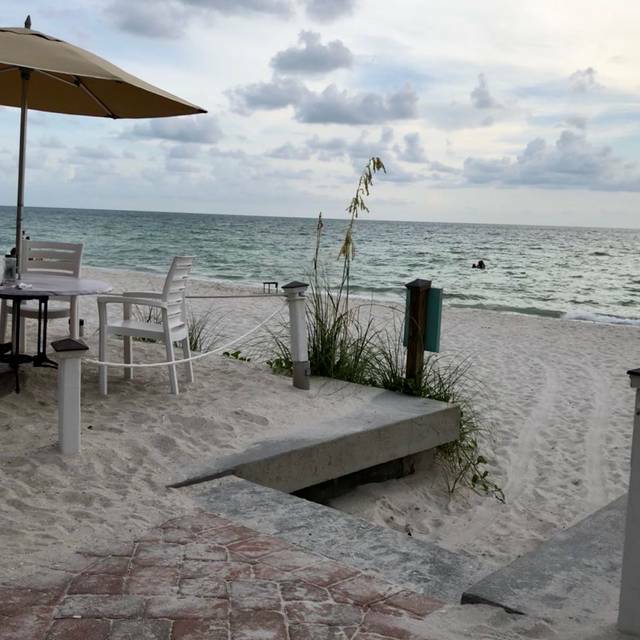 The Turtle Club Restaurant is Naples’ most charming and intimate beachfront restaurant, where guests experience gracious hospitality and great coastal cuisine in an upscale casual atmosphere. 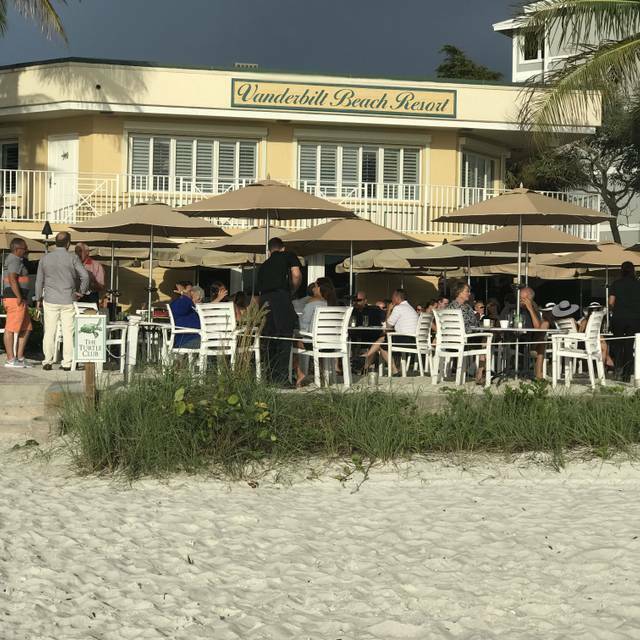 The setting is spectacular—the restaurant is located on the grounds of the Vanderbilt Beach Resort directly on the beach. 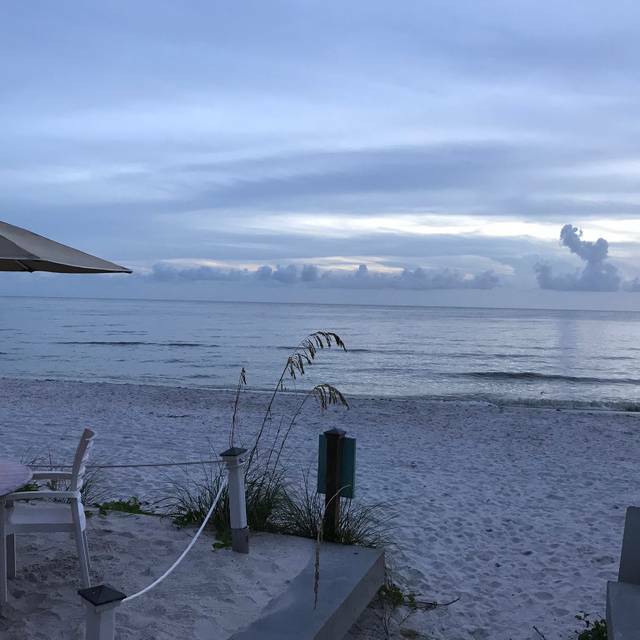 Guests dine adjacent to the beautiful Gulf of Mexico (often with toes in the sand!) 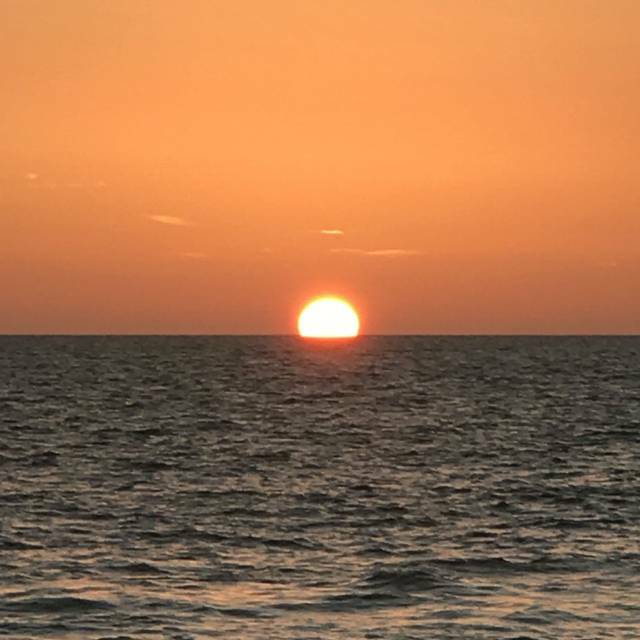 and enjoy the sights and sounds of the sea, including breathtaking sunsets. 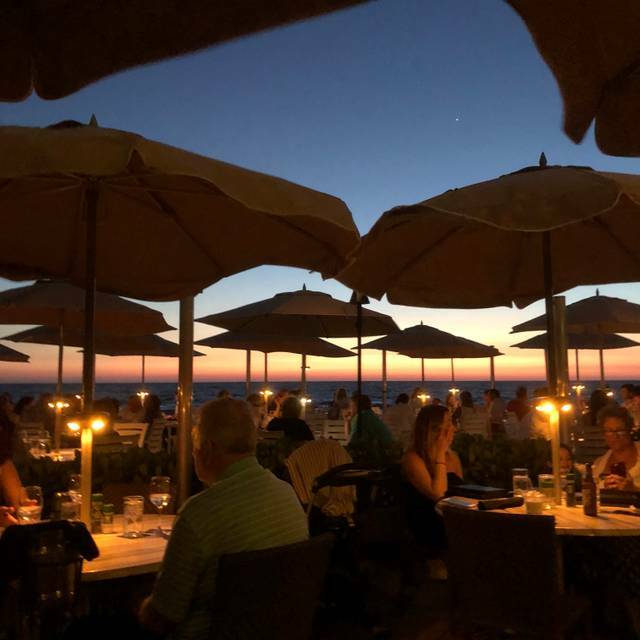 The cuisine is equally fantastic—serving only the freshest seafood and steaks with a core menu that includes something for everyone. Weekly specials combine the best of traditional and contemporary culinary styles with touches of Mediterranean, Caribbean, Asian and Southern American cuisine. 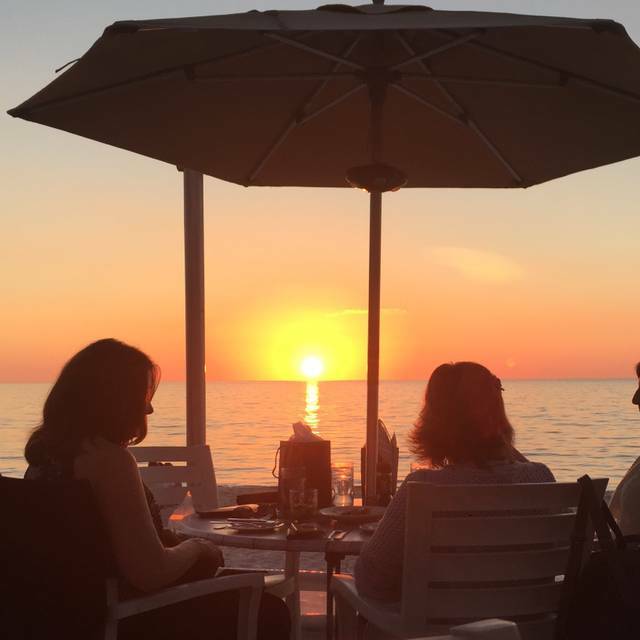 The Turtle Club has been voted one of the best waterfront dining restaurants in Naples for many years. Online reservations are available for dinner only. Reservations are not needed for lunch. We do our best to honor online requests for outdoor seating but cannot guarantee seating at outdoor tables. Nevertheless, the majority of the reservations that we accept through open table will be assigned outdoor tables unless requested otherwise. We may still have inside tables available even if the open table system shows no tables available and you may want to call us to check if an inside table is an option. In the event of inclement weather, we will do our best to accommodate our guests seated outside, but we cannot guarantee that they will be able to move inside if we are fully booked. Ham, Turkey & Apple Smoked Bacon "Press"
20190206, Turtle Club Restaurant review, 6 Feb 2019, , My rating very good 4.5/5, no waiting for 1 table inside, 45 min for outside. No view from our table. Their lunch menu was good, but print was too small, rather limited (23 items), and expensive. They had a lunch special of coconut shrimp over a nice salad, oddly with no dipping sauce ($18), which Lucy and 3 of our friends enjoyed. One of us, who needed to gain weight, took their half-pound burger, made from 3 excellent cuts of beef, dish. I had the fish-of-the-day, Corvina, which was not a local fish (E. Pacific), but was excellent ($24). Generous 2-portion serving. On my dish, they allowed the replacement of potatoes with more vegetables (asparagus, carrots, mushrooms, caramelized onions), which was nice, but the left off the advertised fruit, which was bad. They had a full bar, but their drinks were rather expensive. My “Bert Martini” (move over James) was good, if expensive (usually ~$5, but $14). Lucy and Sallie’s wines were good, but also expensive ($12). We should have had their bloody Mary with shrimp hanging out ($14). Waitress sloshed water across the table. Fortunately, did not hit anyone. Everyone thought the food was excellent. Would have probably been a better experience sitting out on their beach, but hot. Our reservation was not honored because you severed ties with them in October. We never received any notice of this and as a consequence our surprise birthday dinner did not happen at The Turtle club. Total disappointment!! The food is unforgettable. Not only is it prepared with great skill, but is pleasing as it is presented at table. We experienced slow service on St. Valentine's Day, but the facility was packed. Be prepared for a very LOUD environment, both inside and outside in the terrace area. You must converse in a loud voice, which only makes matters worse. Above all the food is superior, making any other drawbacks trivial. Our waiter was not very attentive. 3 of us got the Sea Harvest; 2 of us upgraded to the Grouper. When the food was brought out there was no way to tell which was the mahi and which was the grouper. The fish was terrible. Dry, tough and overcooked. We have eaten here in the past and always been pleased but if this was our first trip we would not come back. And at the end I had wine left. I asked a couple of times for it to be bagged up so I could take it home. When the waiter finally brought the bag he dropped the bottle, then picked it up and put it in the bag. I ended up throwing away the rest of the wine over concerns about glass shards. Overall a very disappointing experience. Food was excellent all 5 of us ordered the Sea Harvest and it was cooked to perfection. Always a favorite when in Naples!! Highly recommend1!! Fantastic waitress , view and dinner!!! Always enjoy Turtle Club. Upscale, friendly and super ambiance. We always have dinner there for my wife's birthday. It's one of our favorite restaurants anywhere. The food, wambiance and service are always superb. As always we will be returning soon. My favorite spot in Naples. Good food, excellent service and a view to die for. Best. Experience. EVER. What’s not to love about great dinner on the beach with sand under your feet watching the sun set! Service and food amazing. A must every time we are in Florida!! We go to the Turtle Club every year when visiting Florida. The drinks and seafood always deliver. Have gone here many years for Christmas. This was not a good experience this time. It started with the seating. We were put in the worst location, even though 2 tables were open and occupied shortly. I think because we showed up with 2 instead of 4 they gave us a bad table. Then we get to the table and there is water pooled on my wife’s seat. Their reaction was not what was expected. They shook it off and then when they saw our look then shifted chairs around. Finally the service was not what it usually was. The waitress gave a lot of attention to the table of 5 next to us, over us. Have dined at this restaurant since it opened. We have had our yearly Christmas Eve outing at the Turtle Club for the past 15 years. The Petite Filet and Oysters Turtlefeller are must. Tried the Calamari this year as a starter and it was too die for. The wait staff are knowledgeable and friendly. Atmosphere is lively and romantic if you dine on the outside. You can hear the waves roll in over the chatter among the patrons. Awesome experience, try it at least once. First night of winter vacation! Always amazing! 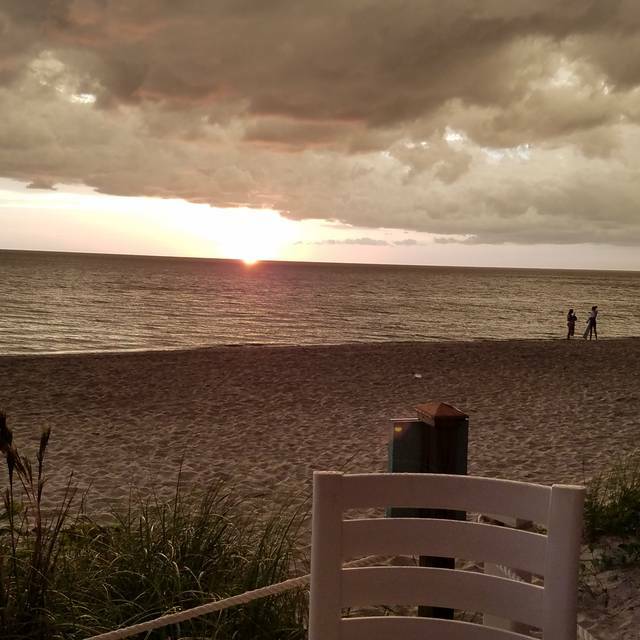 What is better than looking out at a beautiful sunset while eating an excellent meal! Everything was good but not exceptional. Fabulous beach location, which is what you pay for. There was no redemption value as far as the Turtle Club was concerned. They offered no compensation. The food and drinks were good. The service was not. And the explanation for not honoring my reward was less than satisfactory. I assume when season starts the throngs of people are plentiful and the Turtle Club has no reason to placate it’s unhappy guests. It is noteworthy that Open Table was very apologetic. My points were immediately returned to my account. At least they were apologetic and sorry for my inconvenience. It will be a long time, if ever, that I return to the Turtle Club. My husband ordered stone crab and when brought to the table they hadn't even crack them. Contacted our waitress so she took it back to be cracked but when she brought them back it still wasn't to his satisfaction. He has had a lot of stone crabs at other places so he was very disappointed. 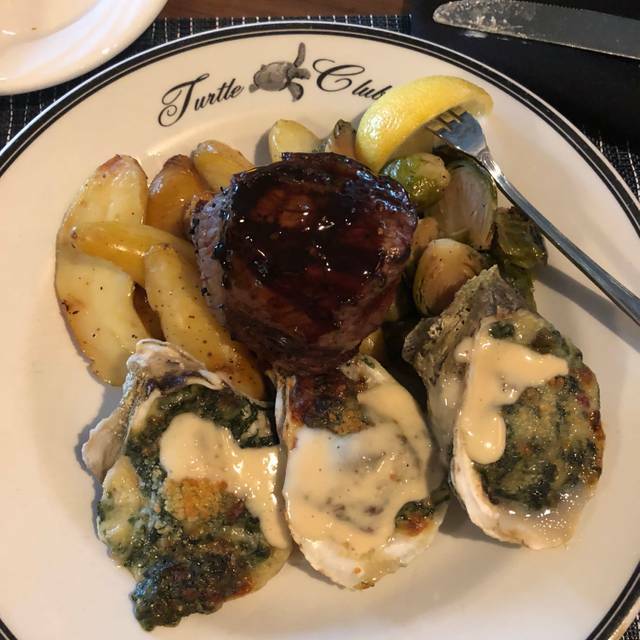 We have dined at Turtle Club every time we are in the area. Visit from our sons. First time for them to enjoy dinner here. Tough steak. Turtles Rockefeller appetizer terrible. I won’t ever go back. Menu changed so some old favorites were not available. Tried the special of halibut but I'm pretty sure it was mahi mahi..... Everything was still good. A little disappointed in the change. Perfect place to celebrate our anniversary! We have been coming here for several years now, never disappointed. Delectable menu, fantastic atmosphere, attentive service. I never go to Naples without eating here. I have supported them with my own dining as well as gift certificates for friends for many years. Had friends in town for the weekend and went to The Turtle Club. We were seated immediately and thoroughly enjoyed drinking our wine and watching the beautiful sunset. Our waitress was so nice and we were not rushed to order dinner at all. Once we ordered, our dinner came in a timely fashion, was hot, was beautifully prepared, and very delicious. While we were dressed in nice dresses, we all felt comfortable enough to take our sandals off to enjoy the sand. What a wonderful experience! Great food and great service. The view was breathtaking. The Turtle Club never disappoints. Everything is first clas from food to service to atmosphere. Had my 2 sons and their families in town from New York and Pennsylvania. They loved the ambiance and the food. Thanks for a great night out. Very romantic, perfect for anniversary. 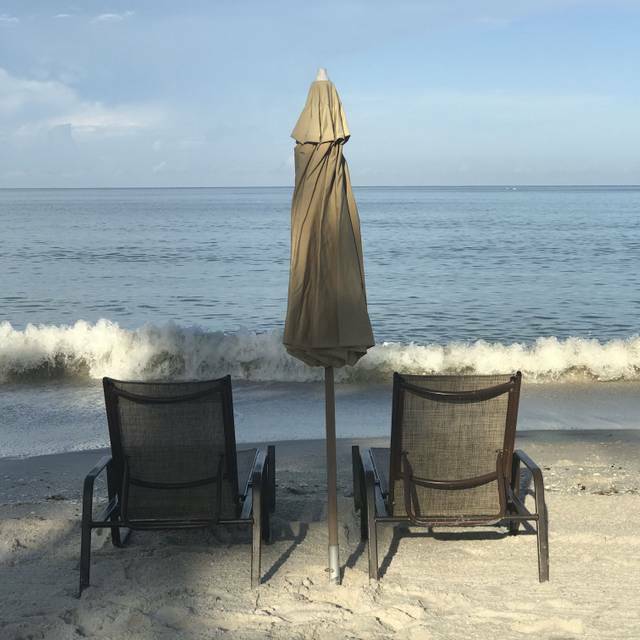 My college girlfriends and I were in Naples for a girls weekend. We came here the first night and had a fabulous experience. Drink and food selection was a hit with everyone. Our plates were clean at the end of our meal. Our server was great. We were seated inside which was fine as it was a bit muggy that evening. We enjoyed dinner so much, we came back two days later for lunch and sat outside. Both meals were great. Would highly recommend coming here. Very busy both times we were here and it was not even the high season. Love this place! Always have a great experience and meal.